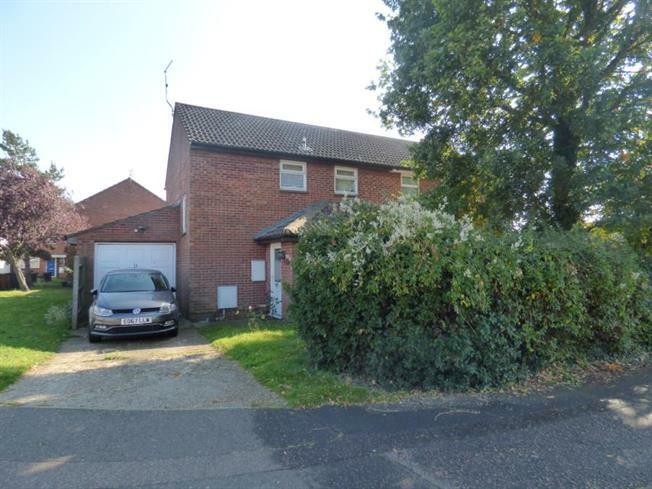 2 Bedroom Semi Detached House For Sale in Colchester for Offers in excess of £200,000. A two bedroom semi detached property situated on a corner plot. Having been extended over recent years and offering the opportunity to extend further this could make a great investment. The ground floor comprises of kitchen area leading into the lounge with a separate dining room. Patio doors lead into the garden giving you access to the garage and workshop. The first floor offers two double bedrooms, separate toilet and main bathroom. There is potential (STPP) to extend to rear above the garage and work shop creating a further bedroom, bathroom and dressing area. The front of the property benefits from a large drive way and side access to the property with a garage. Viewing highly recommended.